NMM 6144. Violin by Karl Oswald Meisel (1878-1935), Klingenthal, 1927. 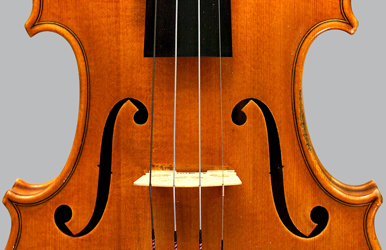 The maker used this particular violin while teaching performance practice at the Trade and Music School in Klingenthal. Gift of Kurt Lothar and Patricia A. Meisel, 1998. Branded on bridge, toward tailpiece: OWATONNA/MINN. Top:� two-piece, quarter-cut spruce: fine grain; from Schwarzberg in the Vogtland. Back:� one-piece maple cut slightly off-the-quarter: broad curl ascending slightly from treble to bass; deep notches at button; from the Carpathian Mountains. Ribs:� quarter-cut maple: broad curl; rib corners slightly chamfered. Head and Neck:�maple: medium curl; inside of pegbox stained dark red-brown. 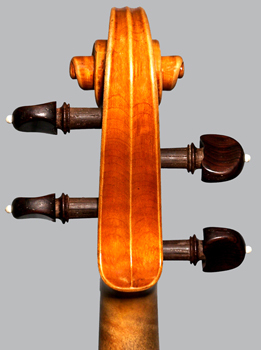 Tailpiece: ebony; black-stained pearwood saddle; raised gold-plated-brass lyre attached to surface; later. Tailgut: transparent purple plastic; later. 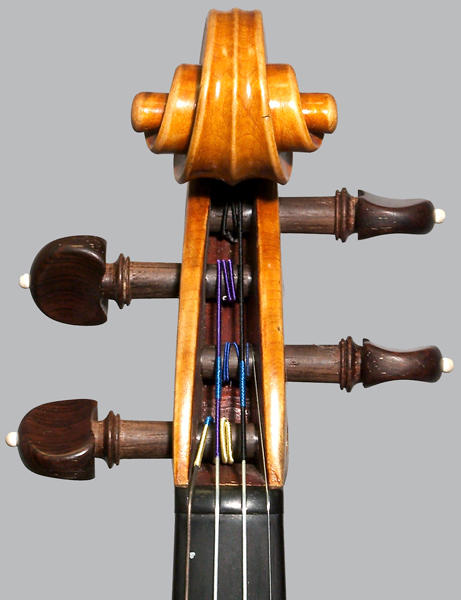 Pegs: four rosewood with ivory pins; undercut heads; later, fitted by Lothar Meisel, made by Emil Lorenz, Bubenreuth, originally from Schönbach. Endpin: rosewood with ivory pin; later, fitted by Lothar Meisel, made by Emil Lorenz, Bubenreuth, originally from Schönbach. F-holes: lower wings channeled; inside edges stained dark red-brown. Lit. : Julie Kucaj, "Lothar Meisel," Arts & Minds., Bravo! News Style Arts Channel, Toronto, January 30-31, 2003. K. Lothar Meisel with Betty Vos, The Meisel Family Violin Makers: Klingenthal, Vogtland, Saxony (Ely, Minnesota: Singing River Publications, Inc., 2007), pp. 130-133. 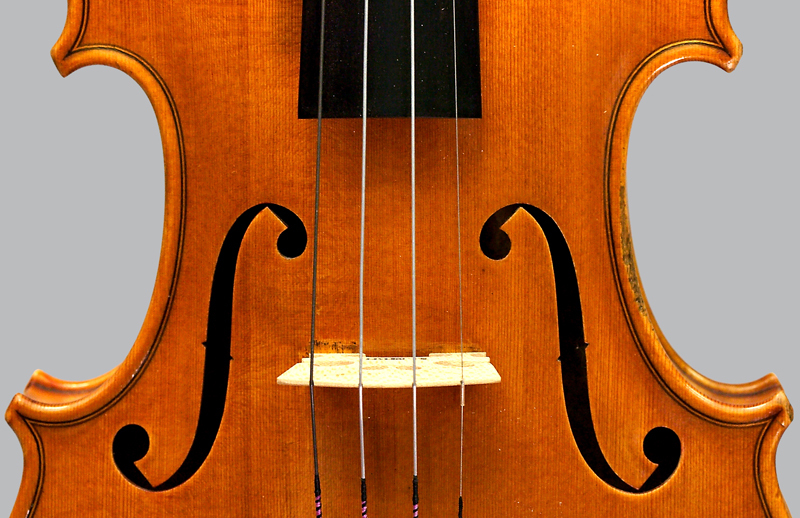 The NMM preserves violins from each of eight generations of the Meisel family.